Tip: Check out the best deals on accommodation in and near Barcelona at Booking.com. The first thing we’ve seen in Barcelona was the Agbar tower (Arab word meaning “the great”, “the imposing”, which the building certainly is). It’s the headquarters of the city’s water management company. It’s even more imposing some nights when it’s lit in different colors. Fortunately, I knew what I’m looking at because I’ve studied Barcelona thoroughly on Google Earth, and learned many things our guide forgot to tell us. 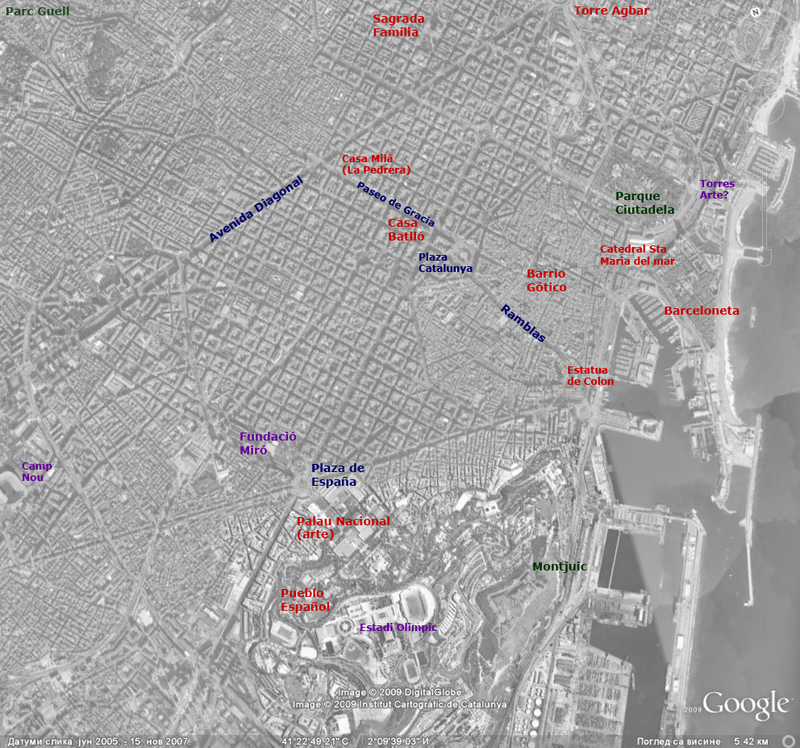 Here is a great panorama of northern Barcelona seen from the Sagrada Familia. Unfortunately, the fortress was closed due to reconstruction so we couldn’t see this splendid view. Between the Arts palace and the Spanish square, one of the most ambitious Barcelonese projects has it’s place – the “magic” fountains. For their spectacle, they use as much electricity as a town of 5000 people. But they probably pay off, since thousands of visitors gather every day to see this show. That’s all for now, the journey through Barcelona continues here: Barcelona Part 2 – Parc Guell. Who needs the sea with a pool like this?